This is the kind of mallet a professional toolmaker would fabricate for himself. The fully-machined 4 oz. 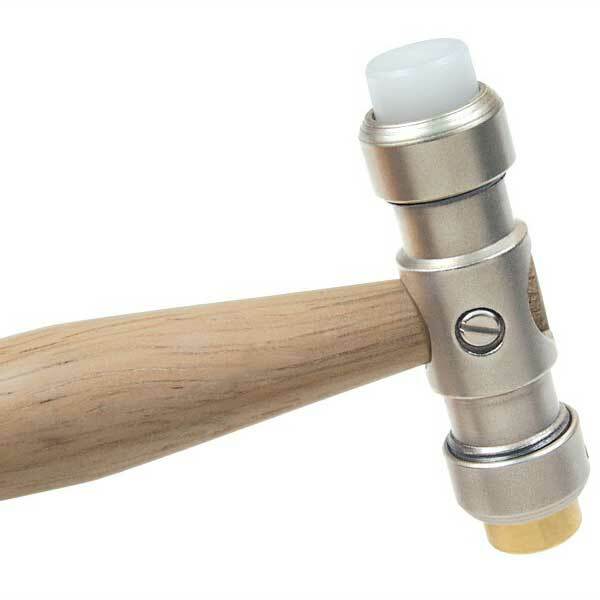 head includes screw-on tips with 1/2 inch diameter brass and nylon inserts for no-mar hammering. And the comfortably contoured hardwood handle is secured with a screw fastener for wobble-free accuracy. 9 inches long.